Fishing is a full-fledged job and also a great pastime. It holds great importance both as an occupation and a fun activity. While commercial angling started and became popular long back, almost centuries ago, but recreational fishing has also become very popular nowadays. It has become as famous as the other favorite outdoor recreational activities. To enjoy this recreation activity more and to have the best experience during angling one need to have the best spinning rod. Commercial fishing is an entirely different thing; it’s a job, teamwork. It will not be beneficial if done with just spinning rods. But for an individual angling experience, a fishing rod is essential. There are different fishing rods for different fishing purpose. The fishing rod differs depending on whether it is freshwater or saltwater. The rod varies depending on the size and species of the fish. Even the lines used in the fishing rod guides have very different purposes and perform differently. So, even if it is a recreational activity but it needs a lot of specification also. To choose the best spinning rod, some particular features need to be kept in mind. A spinning rod has to be lightweight, durable, sturdy, and balanced. It will have to have super cast, comfortable grip, good quality guides and if it comes with a few years warranty, then it can be considered as a good fishing rod. We compiled a list of best spinning rods which feature the above qualities. Almost all of them have all the qualities also mentioned some extra features which help them stand out. And so we have done a right amount of research to built this list up. Hopefully, the detailed information of these fishing rods will be sufficient enough to buy a good spinning rod. Ugly Stik Elite Spinning Rod is a high-performance and versatile spinning rod. It is designed for the open-faced spinning reel. The rod is flexible and made of durable fiberglass with an added 35 percent more graphite which makes it tough, light and a long-term usable rod. It can be backed by 7-year warranty. It is an anti-corrosion rod and wouldn’t rust if used in saltwater instead of freshwater. The Clear Tip design responds to light nibbles also. Though sturdy, it is sensitive as well. Fish biting can be felt immediately making angling simple, smooth, quick and enjoyable. It has a strong backbone for big fishes, also sensitive enough to catch smaller ones. The logo is etched into the corked handle giving it a sleek look. Easy to handle and carry through doors and ceilings. It is very convenient to store and can be moved anywhere in a car, or any other vehicle one have. Covered by a 1-year manufacturer warranty, KastKing Perigee II Fishing Rods screams quality at a very reasonable price. It supports a variety of fishing techniques like bass fishing, trout fishing, catfishing and a few more. It’s a tremendous looking fishing rod with some fascinating features. 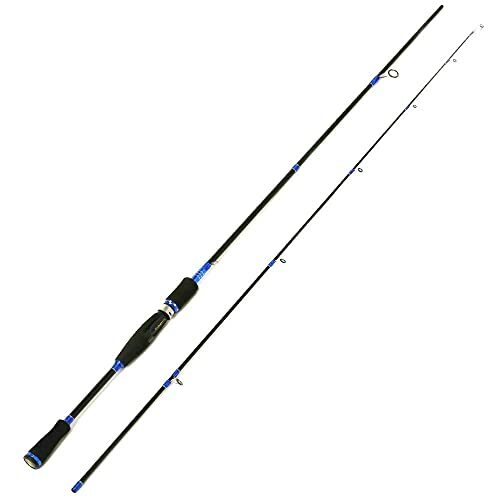 This rod comes with both spinning and casting models. The casting rods have a slightly stronger grip due to a finger hook on it. The quality of blank and guide is excellent. It has excellent control and strong and sensitive enough for light jigging and shaky head fishing. It provides enough bounce and very accurate in reacting to even a slight strike. It is a two piece spigot designed fishing rod with a black glossy finish. It comes with comfortable and high-density Eva grips. The reel seats are made of graphite and have carbon finish. Supports two tips with different powers and both the tips are backed by lifetime warranty. Uglystik is known for their well-made fishing rods, so this one is no different. This stiff rod has excellent balanced graphite and fiberglass construction. With light lures and light lines, it provides fast enough action. The clear tip is super sensitive as well. It detects the nibbles and response the moment a fish bites the bait. It is flexible with a solid backbone strength to turn around big fish and catch them. It is perfect for inshore fishing. It is a decent priced all-round fishing rod also worth every penny. It works perfectly fine in saltwater fishing along with freshwater fishing. For extra care rinse the rod in fresh water after using it in saltwater. This will make sure of this rod being rust free forever. It comes in a thin plastic tube packaging. It is ultra light, super compact, convenient to carry and store while traveling. This spinning rod is a two piece fishing rod. It is perfect for catching catfish, panfish, and trout. It also works quite fine while catching bigger fishes. It works pretty well in every kind of water. It can be used for applying different fishing techniques. It is lightweight, has an extremely sensitive tip, smooth eyelets and great flex with a nice backbone. It has EVA handle grips which ensures comfort and can be held for a long time without cramps in hands. It is a two piece spinning rod therefore very easy to carry and store at any corner of the vehicle or garage. Smooth O-Ring guides cast efficiently with the right amount of tension. It performs really well in fresh and light saltwater and also has a proper balance too. The price is quite low that it is perfect for those who are on a tight budget. It offers excellent value for money. 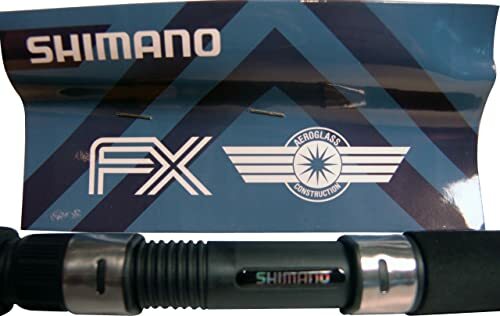 This premium quality fishing rod is made for avid panfish anglers which provides excellent performance in catching trout, crappie, bluegill and almost every other panfish that exists. It might be tricky to catch some of the perch that jumps with it, but all in all, this indeed is one of the best panfish rods. It is sturdy yet lightweight, has a good backbone and tip is very sensitive which detects the slightest peck on the bait. It casts excellent; rod action is flexible and impactful. Premium grade cork has been used in the handle which is maximum quality for any product. Pac Bay Minima stainless steel guides make it ultra lightweight and super sensitive compared to ceramic guides. It is specially made for freshwater fishing. It might be an expensive spinning rod for many, but those who can afford will truly experience how different and worthy it is from other panfish rods. 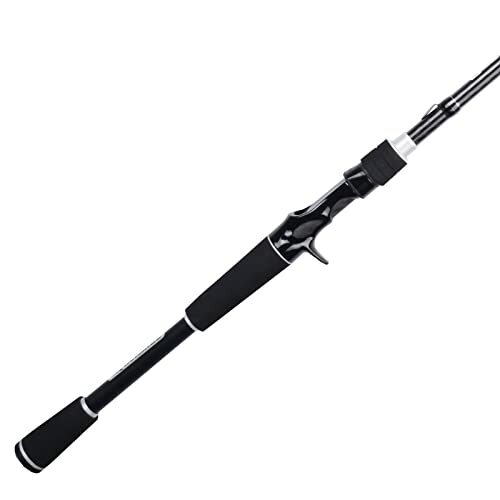 St. Croix Mojo is the ideal inshore spinning rod specially made for saltwater hence corrosion resistant. The blank is made of Premium-quality SCII graphite which makes this rod lightweight and sensitive. It is also high on durability and comes with a massive 5-year warranty like other St. Croix fishing rods. The guides have stainless steel in the outer parts and inner part of the ring is made of ceramic. It is a pretty good looking, colorful fishing rod with a nice finish. It is super light with a sturdy backbone and can be cast all day long. It provides different tension supported rods so one can get to choose a rod depending on the size of the lure. It is a quality fishing rod that provides high performance with excellent sensitivity where just a touch can be felt immediately. The perfect amount of stiffness makes it optimal for inshore fishing and works perfectly with braided line. St. Croix Triumph Travel Spinning Rods is the best spinning rod for traveling. The reason for it being the apt one for traveling is its four-piece design. It can be easily folded and it fits perfectly without bending the guides. It will weight close to nothing and occupy a tiny place in the backpack. It also comes with a soft carrying case. So, it is indeed perfect for backpacking purposes while traveling. Premium SCII graphite makes the blank lightweight, durable and sensitive. It’s hard aluminum-oxide guides are corrosion resistant and the handle is of premium-grade cork. It has two coats of Flex-Coat slow-cure finish. It might seem expensive, but for an excellent travel-friendly spinning rod this is a reasonable price. It is specifically designed for freshwater fishing but if needed can be tried in saltwater also. Like all other St. Croix it is also covered with a 5-year warranty backed by St. Croix Superstar Service. If being portable is the criteria to be the best then Entsport Sirius Spinning Rod is no less. It is a two-piece compact spinning rod. 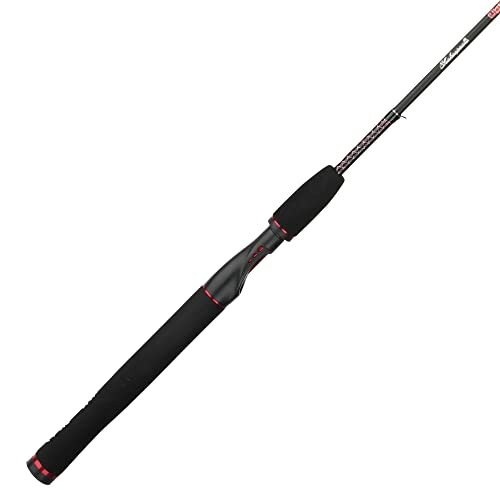 This durable rod is built of solid carbon fiber. The lightweight solid high tensile strength carbon backbone makes it versatile fishing rod with a perfect flex. It’s casting action is excellent and has excellent control. Its reel seat is corrosion resistant. It is an inshore freshwater fishing rod. It’s EVA split grips ensure sensitivity and comfort with excellent control. The guides with ceramic inserts in it are made of stainless steel which provides smooth maneuver of the fishing lines and transfers vibration to the hand. They are anti-corrosion guides. It has a super active tip and the rod itself is sensitive enough to feel every strike on the bait. It comes with a portable bag. 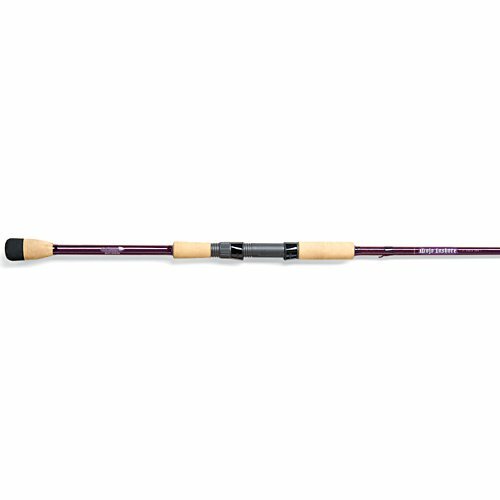 Fenwick HMG is a sturdy one-piece high-quality spinning rod. It is lightweight, balanced and casts great. The blank is made of carbon and is spiraled with carbon threads which gives it a solid backbone and fair action. It comes with a limited lifetime warranty ensuring its durability. The tip is very sensitive and feels the almost negligible bites immediately. It is perfect for freshwater fishing. Fuji is very well known for making high-quality guides. In this fishing rod high-quality Fuji guides are used which has stainless steel deep pressed frames. The guides with alconite inserts are ideally placed for smooth and sensitive movement of the lines. The handle is made of AAA quality cork which is the maximum rating given to any product. The handle makes it comfortable to hold and convenient to move. 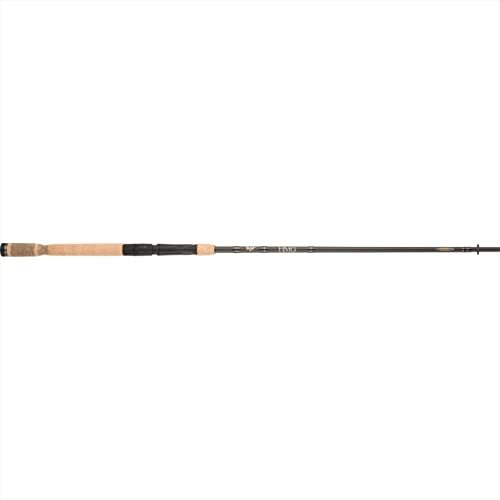 The last in our spinning rod list is OKUMA Celilo Graphite Salmon/Steelhead Spinning Rods. 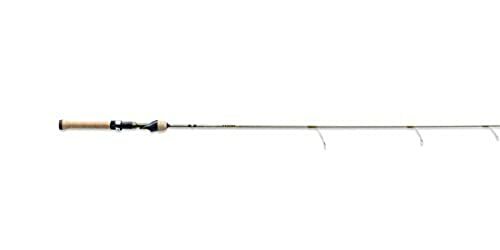 This rod has great action and perfect power to catch the fish in a short time. The sensitive tip feels and detects every nibble and make it easy to enjoy fishing as there will be hardly any moment where a fish will be missed. It has a stainless steel hook keeper and reel seats are also made of stainless steel. Sensitive Graphite is used in the construction of the blank. The Aluminium guide inserts are perfectly placed and corrosion resistant. It is a sturdy, durable spinning rod. The handle has a comfortable grip with front and rear cork grips. It comes with a one-year warranty and also perfect for steelhead fishing. The rod length is ideal for accurate casting and it can hold and balance pretty fine. Fishing as a fun activity thrives on a well-constructed fishing rod. Though it looks like just a stick made of steel, it needs excellent precision while constructing. Every part of the rod requires utmost precision and attention. Unless a fishing rod is not made following those minute details in every portion of the rod, it fails to be the best spinning rod. It might fail to perform accurate casting and not feel the vibration created from the nibbles at all. Even if the basic features are available in every single spinning rod yet, they might give vastly different performance. After a good amount of assessment, we could successfully compile a list of good fishing rods. This lists consists of all kind of spinning rods. Freshwater, saltwater, portable, one-piece, two-piece are just to name a few. Hopefully, this review and the features described in it will help to answer your queries while buying the spinning rod.